Supporting its rapid expansion in the UK real estate market, Winnersh Triangle’s owner Frasers Property UK has welcomed three new members to its management team and opened a new office on the estate. 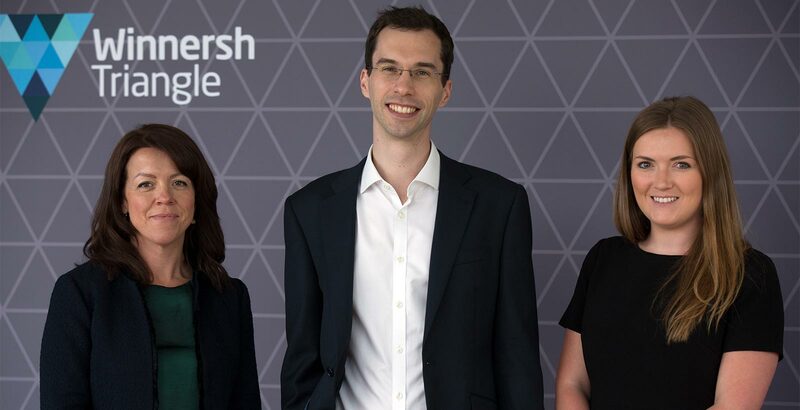 Chris Stevens and Eilidh McAllister join the Asset Management team and Katharine Westcar joins as Head of Marketing (Commercial). Working closely with Winnersh Triangle’s onsite team, Eilidh and Chris’s management responsibilities cover the 90-acre estate and also Frasers Property’s other business parks in the Thames Valley, including Chineham Park in Basingstoke and Watchmoor Park in Camberley. With more than 12 years’ experience in real estate investment and asset management Chris joins Frasers Property from Resolution Property, where he asset managed UK and German office investments. Before this, he worked for Singaporean Sovereign Wealth Fund, GIC. Eilidh joins Frasers Property from Haslams Surveyors in Reading, where she was an associate partner. She has six years’ experience and an excellent knowledge of the Thames Valley market. Katharine is a property marketing professional who has specialised in communications management, branding and public relations. Prior to joining Frasers Property, Katharine worked at Goodman for five years managing commercial and industrial property marketing.